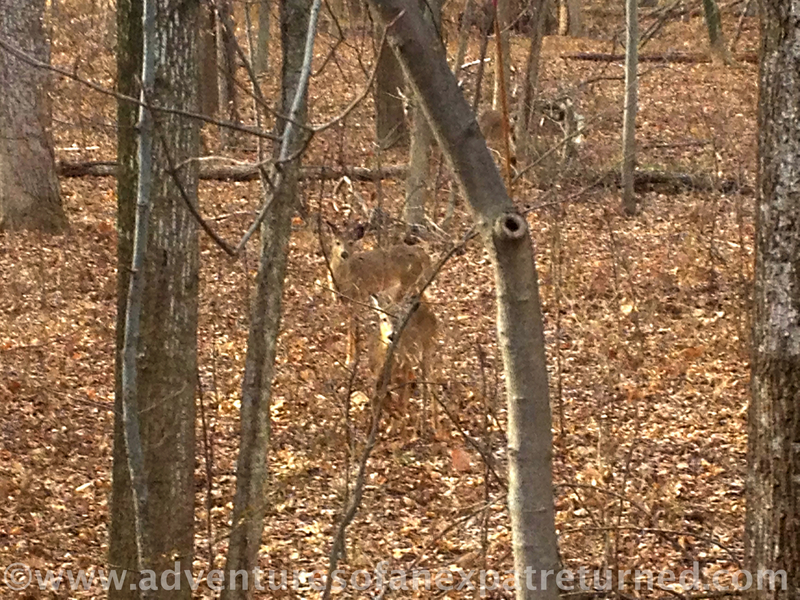 This entry was posted in American Snapshots and tagged Deer, running, Woods. Bookmark the permalink. My friend and I went on a long hike in the woods this morning. It was wonderful, except for the mountain bikers tearing up the trail. The vernal pools are still frozen, but they should be alive with peepers soon. The woods were beautiful here this morning, too. Lots of people out walking and running and making the most of the decent weather before the storm hits: rain anytime now and snow starting at 7 p.m.! I’d hoped the season for snow posts was over, but there may still be occasion for one or two more. Happy hiking! I barely avoided putting my foot in a nearly-frozen vernal pool this morning… yikes! I love winter too, especially the animal tracks. I have the exact same garden owl, although I was afraid to leave it outside all winter. I guess it’s ok.